When Pathfinder Bank says it “strives to be the local community bank that you can trust,” it’s far more than a tag line. It’s a corporate culture; a way of empowering employees and showing just how dedicated Pathfinder is to serving their customers and community. purchasing office machines in 1911, investing in Liberty Bonds during WWI and joining the FDIC in 1940. And in 1967, it continued to expand by opening a new branch in the Oswego Plaza Shopping Center and, in 1978, another in Mexico, NY. With computers speeding up operations in 1986, the bank launched their website in 1999. Shortly following, in the year 2000, the Oswego City Savings Bank officially changed its name to Pathfinder Bank. As Pathfinder Bank passed its 150th anniversary, it continued to expand with branches opening in Lacona, NY, and Central Square, NY, along with additional branches located in Onondaga County. The evolution of the Bank’s products and services is directly linked to the needs of its communities. Pathfinder continually seeks to enhance product offerings by assessing the needs of the community and providing them with the products and services necessary that help drive economic, civic, cultural, and social progress. The history alone speaks volumes about the growth of a business, but what it can’t possibly share is the story of the many lives this organization has touched. Philanthropy and community involvement are a part of who the Bank is. Pathfinder Bank is a for-profit organization that understands what it means to give back to the community. Philanthropy and community involvement are a part of who the Bank is. Pathfinder builds relationships and supports local communities with time and funding. 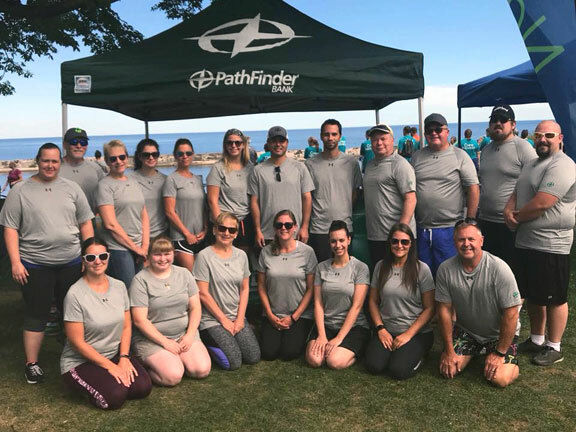 The Bank’s most notable contribution might be considered co-sponsoring the annual fireworks display for Oswego’s Harborfest, but Pathfinder’s involvement within the surrounding communities goes far beyond the donations and events that it helps make possible. communities. Some of its most notable contributions include, The Oswego Health Foundation, The Research Foundation of State University of New York – Oswego, and CNY Arts Center, Inc. It also has established a customizable FDIC Money Smart curriculum, which is used in a variety of community settings such as public libraries, non-profit organizations, local school districts, and colleges. Pathfinder Bank employees lead various groups through this curriculum-based education by covering topics such as budgeting, understanding your credit, cyber-security, credit cards, and more. 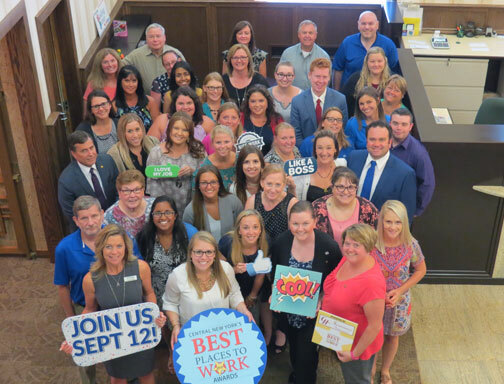 If you take a deeper look, you’ll find that the Bank also takes part in fun and philanthropic events such as the Dragon Boat Race, the Oswego Health Race, the J.P. Morgan Corporate Challenge, and the Home Headquarters’ Annual Block Blitz campaign. Pathfinder’s employees are ready and willing to take part in events like Block Blitz, where teams of volunteers donate their time to help paint, landscape and repair homes in a Syracuse neighborhood. They also have the ability to ask for support with their own projects by submitting sponsorship requests to the Bank’s Community Involvement Program. These projects can fall under one of many categories such as; Education, Economic Development, Social and Human Services, Culture and Arts, Civic and Community and Youth Recreation and Sports. 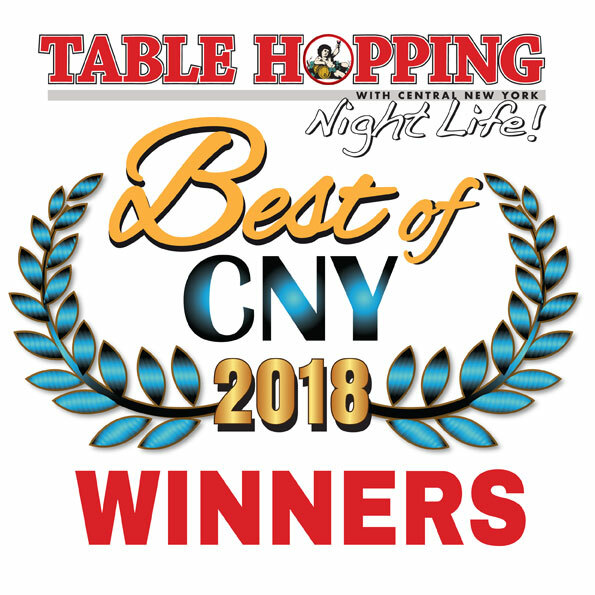 Pathfinder has been honored with awards and recognition, such as being named CenterState CEO’s Business of the Year in the Over 50 Employees category, one of CNY Business Journal’s 2018 Best Places to Work and most recently, the Corporate Philanthropy of the Year Award from the Association of Fundraising Professionals. Pathfinder Bank is a for-profit organization that understands what it means to give back to the community. The consistent customer satisfaction is shown in the recent “My Bank” campaign, where prominent and diverse members of the community offer testimonials to Pathfinder’s impact. There is also growth and expansion, with the Bank slated to open a new branch in Clay, NY to help service the communities in Onondaga County. Writer, voice over artist, information achitect, very curious person.